You are currently browsing the tag archive for the ‘Tillman Park Sydenham’ tag. I was told to visit Tillman Park as the lovely Fig tree next to the railway line had been chopped down. The first connection I had in the park was with a man who was very angry that this tree had been removed. He told me that the tree had been chopped down in the last couple of days. 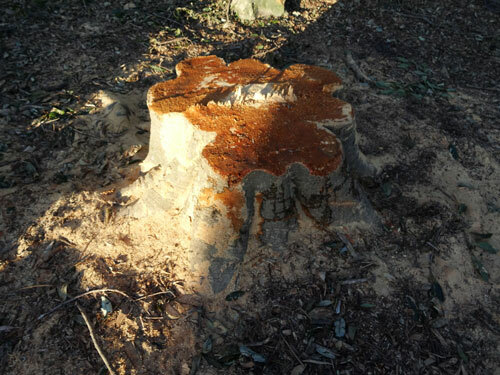 The stump, about 1-metre round, was still wet. I have no idea why this tree was removed. If there has been a Notification of Removal on Marrickville Council’s website, I missed it. I hope Marrickville Council elects to replace it with another Fig tree. There are fewer and fewer of these trees in the municipality. There is room for this species in Tillman Park. 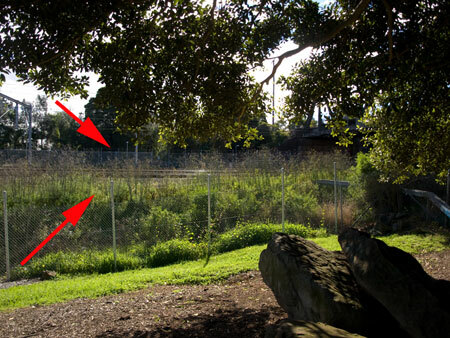 Marrickville Council has designated Tillman Park a ‘priority biodiversity area.’ Fig trees are entirely appropriate as they are a great resource of food for wildlife. Fig trees are also impressive & we need to still have such trees in our parks. 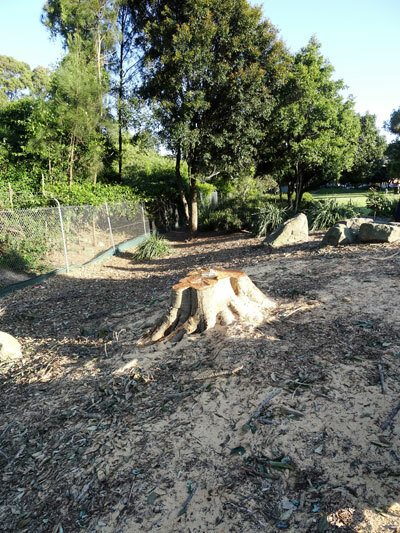 The tree that has been removed had a canopy spread of around 15-metres. Before Council pruned it a couple of years ago, the boughs looked like an upturned bowl making it a lovely, relatively private refuge to sit & enjoy the cool shade & the birds. I shall miss this tree & I know that others in the community already are. Right now the space looks like an empty scar. This whole area of dirt & rocks was covered by the canopy of this Fig tree & there is more area behind the camera. A lovely Stanmore streetscape – lots of street trees, quite a bit of variety, autumnal colour, canopy over the road, even a tree in the round-about. In the surrounding blocks there are hedges & mass plantings on the corners. I wish it was like this all through Marrickville LGA. “Australians would be willing to pay an average of $35,000 more to buy a home in a nature-filled neighbourhood than for an identical home in an area with little nature. 4 out of 5 Australians (78%) said they would prefer to live in a home with many natural elements, such as trees, plants and a garden, over one that does not have these features. Having a home with a backyard and living in a “green” neighbourhood with trees, parks and gardens was rated as more important than being close to work, having easy access to public transport, and having good shops or a shopping centre nearby. More than two-thirds of Australians (68%) agree that living in a neighbourhood with lots of trees, gardens, and parks would reduce their stress levels. Trees are a public health issue. Having lots of good trees & a visible canopy makes for happier & healthier communities. 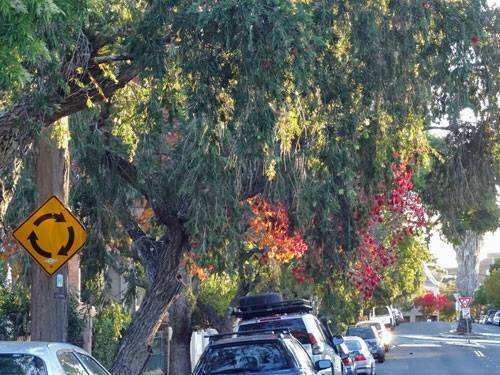 Marrickville Council should allocate more funding in the annual budget to allow the urban forest to be increased & also to create equity of streetscape across the whole municipality. The staggered dates will give us a chance to participate in other National Tree Day events held locally, as well as our own. The City of Sydney & Planet Ark’s National Tree Day event is held on the traditional date – Sunday 27th July 2014 from 10:00am – 2:00pm at the southern end of Sydney Park. Participants will be able to experience the joy of planting trees. Last year’s event was fabulous. They plan for the community to plant between 4,000 & 5,000 trees during the event. This is a small forest! Judging by previous years crowds, I’d say the target will be achieved, probably with time to spare. Can you imagine how great 5,000 trees will look as they start to grow! It is a nice feeling to walk past growing trees that you have helped plant & I imagine that this feeling is even greater for children who helped plant a tree/s. I’ll post a reminder of these events closer to the date. This is one of the most beautiful corners in Newtown. I don’t know how these two Gum trees were planted here, nor why the Council chainsaws haven’t arrived. Frankly, it’s a miracle. No one seems to mind. There is room for one pedestrian to pass & there is always the footpath on the other side of the road. The birdsong is wonderful. 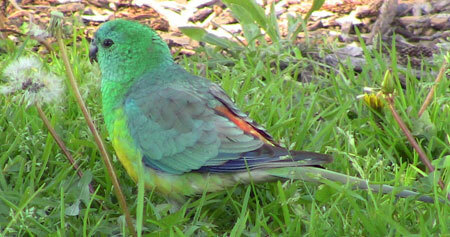 Red-rumped parrot feeding on grass seeds in Tempe Reserve. A good reason not to mow. For brevity, I have not included every point or aim in the action plan. Tempe Recreation Reserve & Alexandra Canal – This is an area of 18.3 hectares of reclaimed land & provides a range of habitats; freshwater & brackish wetlands & shrubby sandstone vegetation & local & regional connectivity between the Cooks River Corridor & the Alexandra Canal. I could not find what birds & animals benefit from this area in the document, but know from my own sightings that there are land reptiles, small grain, nectar & insect eating birds, wetland birds & flying foxes. Spending $25,000pa of an existing budget of $80,000pa to continue maintenance & management & extend maintenance to re-vegetated areas adjoining Alexandra Canal. 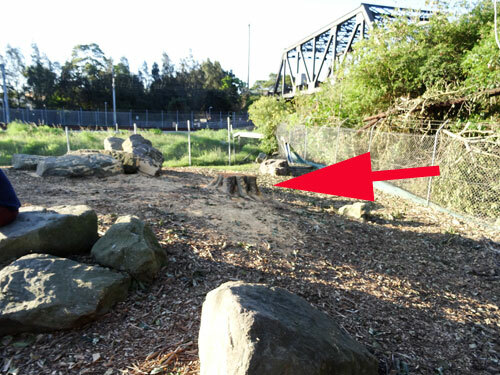 Spending $20,000pa to implement the Cooks River Valley Garden Management Plan, maintain & improve habitat & do under-storey restoration planting along Alexandra Canal. Also maintain & improve the Swamp Oak Floodplain Forest remnant known as ‘Container Wetland.’ This is the vast area of land beside residential East Tempe that the planes fly over. It has been a wasted opportunity for substantial habitat for urban wildlife, being mostly weeds with the odd tree that has managed to survive. As it is a visual entrance to Sydney from the air, fixing this area will have another benefit other than just a significant area of habitat for urban wildlife. The area also has the potential to be a carbon sink. The GreenWay: Cooks River to Iron Cove – The GreenWay provides a 5 km long corridor of relatively connected vegetation between the Cooks River regional shared path/cycleway from Earlwood to the Iron Cove Bay Run at Haberfield. The aim is also to increase dispersal opportunities with Wolli Creek, Cooks River & Alexandra Canal. 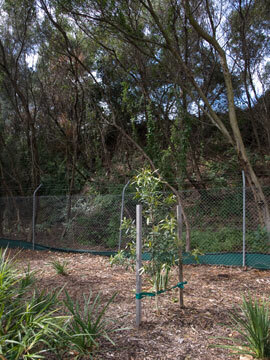 “Many of the remnant vegetation areas are very small, degraded & infested with noxious & environmental weeds; however, within the context of a highly urbanised environment, this vegetation has potential for enhancement & expansion to improve habitat for urban biodiversity (Eco Logical 2010).” The GreenWay provides habitat for reptiles, small birds & critically endangered Long‐nosed Bandicoots. Continued support for the Inner West Environment Group to undertake re-vegetation in the rail corridor. Ensure adoption of development controls for the Bandicoot Protection Area & Wildlife Corridor. Assist the GreenWay Sustainability Project Team. Investigate traffic calming measures along West Street Lewisham & warn drivers of the bandicoots’ presence. Target households within the Bandicoot Protection Zone, with special priority for a pilot responsible pet ownership education program. Fraser Park Marrickville & Tillman Park Sydenham – These two parks offer connectivity as they are on adjoining sides of the railway corridor. The parks & the corridor provide habitat for frogs, moisture dependent reptiles, small grain, nectar & insect eating birds & fast‐flying bats & slow‐flying bats. Interestingly, RailCorp have a Biodiversity Management Plan (2006) outlining the re-vegetation, restoration & maintenance status of rail corridors throughout the Sydney Metropolitan Area. Imagine if all these vast areas were actually put to use & planted with urban wildlife in mind. 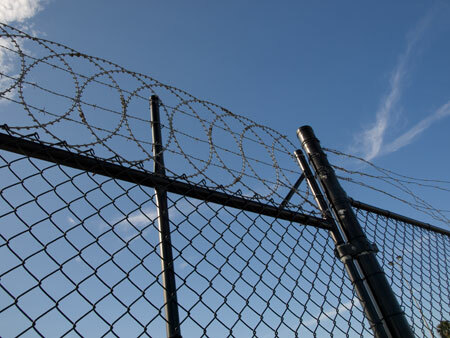 The rail corridor here is quite large & has good quality, mature stands of native vegetation. Flag priority sites with RailCorp that have been identified as ‘excellent re-vegetation’ in their Biodiversity Management Plan 2006. Flag lower priority weed sites with RailCorp for staged re-vegetation if opportunity arises. This area appears to be along the goods line. Spending $3,000pa to increase density of plantings at the margins of Tillman Park & add freshwater & brackish swamp plantings to the grass swale at the south‐west section. Spending $5,000 to re-vegetate the Stormwater Management Systems area with plants appropriate to the freshwater & brackish swamps plant community. space, streets, road verges, schools, church grounds & backyards in the LGA, as well as Camperdown Cemetery, Marrickville Community Nursery, Camdenville Park & the Bush Pockets sites at Victoria Road & Bedwin Road. 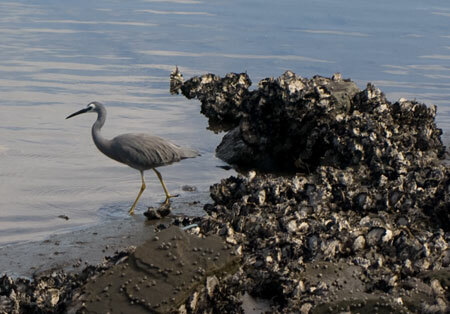 These areas, depending where they are in the LGA, provide habitat for Long‐ nosed Bandicoots, Grey‐headed Flying Foxes, frogs, reptiles, nocturnal birds, small grain, nectar & insect eating birds & fast‐flying bats & slow‐flying bats. Although the ‘mosaic’ does not provide much in the way of connectivity, the report says this network may be more permeable to the more highly mobile species & those adapted to urban environments. If we all planted our garden &/or verges with urban wildlife in mind, even if only 1 or 2 plants, we would help significantly by providing much needed food sources & depending on what we plant & how we do it, habitat as well. Spending $70,000 for a new position to coordinate management & community engagement around Bush Pockets & verge plantings. Spending $5,000 for continued support, maintenance & volunteer activities at existing Bush Pockets sites. Incorporate information & guidelines into the Urban Forest Strategy to ensure biodiversity principles are built into street tree masterplanning. Spending $10,000 to apply for grant funding to review the Camperdown Cemetery Restoration Strategy (2007 – 2011) & achievements. Consider the retention of mature trees (native & exotic) as habitat trees where practical, especially if they have hollows, mature or developing exfoliating bark & fruit suitable for Grey‐headed Flying Foxes. Minimize the planting of Eucalyptus, Angophora & Corymbia, as these trees increase the density of Noisy Miners. 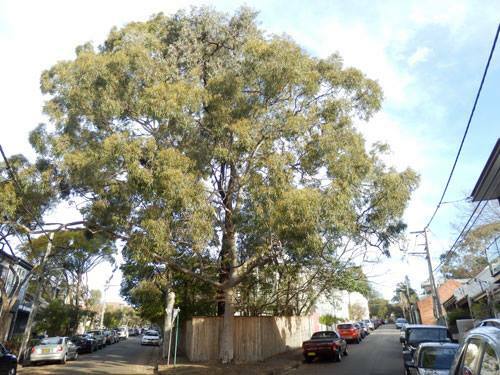 Consider the planting of dense shrubs rather than trees for street tree planting, especially within & adjacent to Marrickville’s Priority Biodiversity Areas. 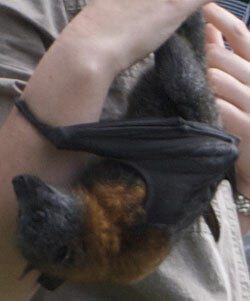 Food trees for Grey‐headed Flying foxes should be retained where possible, or replaced, & food trees (rainforest trees, Figs) should be incorporated into street tree plantings. Consider fencing & retaining trees that have been poisoned or die naturally as these offer habitat.